I was absolutely thrilled to get the opportunity to interview Johana at CrimeFest on the 18th May. I listened to Johana speaking on a panel earlier in the day where she and three other writers had been discussing the dark side of human nature. Listening to Johana talking about the concept of evil, the motivation of people and the crimes against humanity that are explored in her novel during this panel was very interesting. She is incredibly articulate and clearly feels very passionately about the holocaust and the horrific, evil behaviour of not just one person, not just one sociopath, but of hundreds of people. So let me share with you our conversation - I've edited out my initial incoherence, not only was I totally star struck but Johana is also so fascinating, intelligent and incredibly eloquent that I got so caught up listening to her, I forgot I was supposed to be posing questions...... Luckily she's also incredibly friendly, smily and kind! 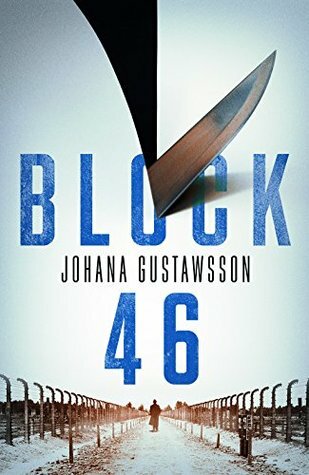 Johana, Block 46 is obviously a story close to your heart and based on your grandfather. Was it a story you always wanted to tell? No! It came about because in 2009 my father had a heart attack and I had to fly back to the south of France from London to see him. It was the day before Valentines Day and I needed an immediate flight so I ended up only being able to get one that flew via Amsterdam. I had a lot of time on the plane to think and I wondered, what is the one thing I want to ask my dad when I see him? Thankfully, when I got to him he was well and recovered so I forgot my question for a little while. Then I told him, if I'd only had time to say one thing to him it would have been to ask him about my grandfather. I knew that my father had not had a good relationship with his father - his father, my grandfather, had not been loving. He was a hero, but he was not loving. I was fascinated by this discrepancy. My grandfather had liberated a concentration camp. He was a local hero and celebrated by the townsfolk. But he could not show love to his family. I told my father I wanted to write my grandfather's story. He replied that he would like that. But I didn't just want to write a story about a concentration camp, so my publisher asked me what other kind of stories did I like reading? I love Agatha Christie - Hercule Poirot is my literary fantasy! I love serial killers and whodunits, so she said, write one of those then! And there you go, the idea of doing both a story about a concentration camp and a serial killer came about! How did you - and your father - find the whole process of writing about your grandfather, particularly as it had been a strained relationship? It was very cathartic for both of us. It was a way for us to understand why he could not give us the love and care we needed. Block 46 is a harrowing read. How did you cope or protect yourself from some of the brutality you write about? I did a lot of research and it was the research that was the really draining and upsetting part of the process. When I was researching I only took about 10% of what I found as otherwise it would have been far too much for anyone to read about. I needed enough - I struggle to use the word anecdotes as that makes light of it - these stories I suppose, to give readers enough of an idea of the absolutely barbaric and brutality of the camps without it becoming overwhelming. It was the research that I found heavy going. By the time I started writing the novel I had processed and digested the information and I was ready to do justice to those who had died. I had a "duty of remembrance" to them. What is the one thing you would like readers to take away from your novel? In Dachau Concentration Camp the words NEVER AGAIN have been inscribed in several languages. Never Again. That is what I want readers to take away with them. We have a duty to tell our children what really happened. As the Second World War becomes further and further away in our history, we need to make sure we tell them what really happened. Some of the things they see about the concentration camps does not even touch on what really happened. We have a responsibility and a duty to tell them and to remember all those who died. We need to keep reading about the Holocaust. Recent political events and every day news shows us just how important it is to keep the Holocaust in our minds and to make sure it really is Never Again. Are you working on a second novel? Yes, it will follow on from Block 46 and feature Emily Roy and Alexis Castells. Again it is quite a complex novel with many threads. It starts with a dead woman in London who has been killed in a very similar manner to a murder 10 years ago - but the murderer for that crime has been in Broadmoor all this time, although always protesting his innocence. Then there is a second storyline of a Swedish immigrant arriving in London in 1888, at the time of Jack the Ripper. There is also a third storyline about the disappearance of a famous actress. Ah, three story lines - like in Block 46! Is there a reason for three story lines - and the dual timeline which you also use in Block 46? I'm not sure! I like complicated! And I just love history. I love writing about the past and I love to look at how the past links to what we are experiencing now. By writing about history I get to study history and I love to make readers travel historically and geographically through my stories. I'm fascinated about the origin of evil and how one boy or girl can grow up to become a man or woman who will do horrible things. Sometimes to see how evil is born, you have to go back two or three generations and I love the opportunity to study and trace things through time. With three separate story lines and a dual timeline, which all converge, you must have a pretty tight method for planning your novels! Can you tell me a bit about your writing process? I plan. A lot! I have to! I start with an idea - maybe as much as a synopsis, but the basic idea. Then I spend about 4-6 months researching my novel. Next I write a skeleton draft which is more like the scenes one after the other. I write a skeleton for each of the story lines - current and past. Then I mix them together and make sure that I have included all the hints, information, details and so on that I need in the right place and at the right time. I'm in the planning stages of book 3 at the moment but I'm missing Emily and Alexis so much that I just want to get back to writing all about them! It's so funny how they are so much part of my life! We had a family party a while ago - everybody from both sides of our family was there, there were lots of us and it was amazing to me with my extended family. Then at the end of the day I panicked - someone had been missing - I had forgotten to invite someone from my family..... And then I realised.......but before I could cover up my mistake, my husband said, "I hope you weren't about to tell me that we forgot to invite a character from your book to our family party?" I just love Emily - and I love that she's back in Book 2 and Book 3. I'm so excited about building her into a stronger character and more interesting character! Just before we finish, as we are at Crime Fest, are there any further panels that you are speaking on or any panels that you are looking forward to listening to? I'm part of the "Proving Yourself: When Your Protagonist Goes That Extra Mile" panel on Friday at 4pm and yes, there are lots of panels I want to get to- I will be doing my best to watch as many of my fellow Team Orenda authors as I can! Thank you so much Johana for chatting to me. 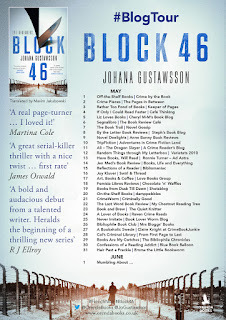 I have loved listening to you talk more about Block 46 and I am deeply intrigued by Book 2 and Book 3 - I cannot wait! Good luck with your panel tomorrow - not that you need it! And I hope you enjoy the rest of Crime Fest! What a fantastic end to my first day at Crime Fest! Block 46 is published by Orenda Books. In Falkenberg, Sweden, the mutilated body of talented young jewelry designer Linnea Blix is found in a snow-swept marina. In Hampstead Heath, London, the body of a young boy is discovered with similar wounds to Linnea's. Buchenwald Concentration Camp, 1944. In the midst of the hell of the Holocaust, Erich Hebner will do anything to see himself as a human again. Are the two murders the work of a serial killer, and how are they connected to shocking events at Buchenwald? Emily Roy, a profiler on loan to Scotland Yard from the Canadian Royal Mounted Police, joins up with Linnea's friend, French true-crime writer Alexis Castells, to investigate the puzzling case. 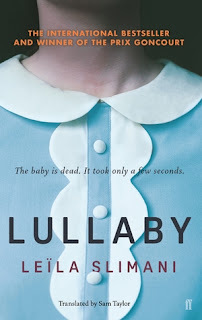 They travel between Sweden and London, and then deep into the past, as a startling and terrifying connection comes to light. 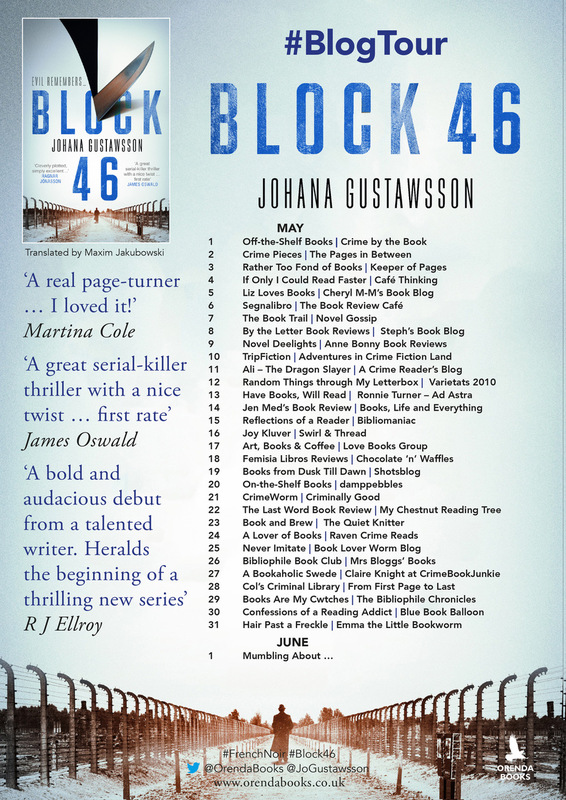 There is a fantastic blog tour currently running for Block 46 and the reviews are incredible. Do check out what other bloggers are saying. In particular I want to draw your attention to Jen Lucas and Mairead at SwirlandThread but there are many more fabulous posts here too. What an interesting and such a personal conversation this must have been for you Katherine and you have presented your final post so beautifully, as I would have been totally floored by Johana's candid answers to your first few questions! Johana, I really don't know how you managed to carry out all the research and put the book together without becoming an emotional wreck and I was left wondering how it all left your father feeling, after his rather 'distant' childhood with his father? I like the way you decided to blend fact with fiction to give yourself the opportunity to write the best account possible and I shall definitely be adding the book to my own list!